The 20th FIFA World Cup will be held in Brazil from 12th of June to 13 of July. Football brings indescribable emotions and good times on the stadiums and in front of televisions. Each championship is a great football feast for the true fans and admirers of the most loved sport. Summer will definitely be hot, fun and interesting thanks to this year’s big event – World Football championship in Brasil. Beautiful South American country offers many amusements and interesting sights. So many visitors of the country during the main event this summer will be able to visit many other attractions. It hosted the event for the second time in history, as its first host was in the distant 1950. There will be competing the best national teams in the world of the football. Everyone will give the best by yourself on his way to victory. The last World Cup was won by the team of well-deserved Spain, which shows a very high class and beautiful football. The Cup is desired by many countries, but only the best and deserved team will get it. There are very strong teams in South America, that show very classy game combined with excellent tactical and strategic components. The team of Brasil is also a favorite to win gold because Brazilians have targets 5 World Championship titles. The football sport there is more than game, and that is proved by the traditions and excellent skill of the football teams from the country. This year’s competition will involve 32 national teams. As will be attended by former world champions of the past few World Championships – Italy, France, Germany, Argentina, England and Uruguay. And many other national teams will compete to win the first World Cup for their country. The teams will compete on new or fully refurbished modern stadiums, with many seats and attractive locations. Forthcoming great emotions, beautiful football and adrenaline. 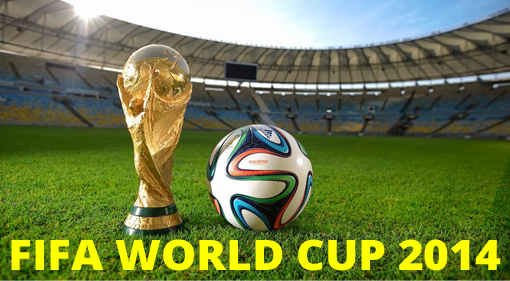 You could watch Fifa World Championship, which will be in Brasil, with friends at home, in the pub or on holiday everywhere with your relatives and gainful rental car from Top Rent A Car. The beginning of the great football show will be started on 12 of June.